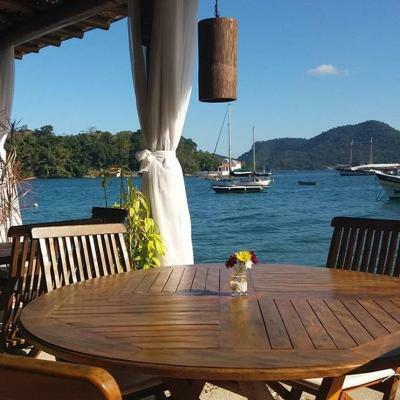 Lock in a great price for Pousada e Mergulho Jamanta – rated 9.2 by recent guests! Great facilities with great view. Breakfast was amazing. Staff was super helpful, friendly and kind. The availability of diving was a bonus. The staff were really helpful. The breakfast was good. Free use of kayaks was great. Pool area was cool and food was delicious. Most of the guests go on bot tours during the day so there is mostly enough chairs. The lunch and dinner portions were huge and enough for 3 people. Very good and fresh food. Also the staff was very very friendly and always willing to help with anything. Fantastic variety and one of the best breakfasts I've ever experienced. We booked the last room available (a family room for just the two of us) which was a bit over-priced for what it was. Food was exquisite and staff were very lovely though. It was very hot when we stayed there during busy season - there is only a limited number of shady places/ umbrellas by the pool which was a bit annoying. 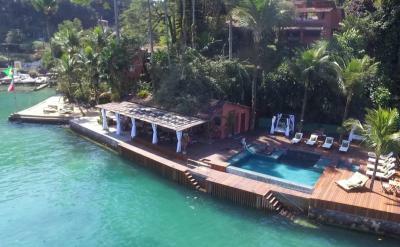 But the fact that you can jump into the sea right from the restaurant helped a bit :-) The pousada has a diving school, they do diving and snorkling trips. We hadn't been diving in a long time due to some negative experiences but gave it a try. It was one of the best diving days ever - the instructors Mauro and Davide are super nice, equipment is all very good and safe, and the huge dive boat was very accommodating. 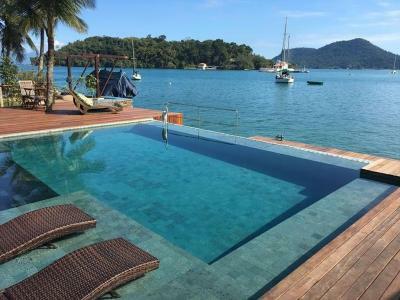 Will leave a separate review for the diving on trip advisor and can highly recommend doing diving or snorkling when staying here! el lugar es soñado. la atencion es muy buena, el personal se ocupa de que la experiencia sea unica en todo momento . el desayuno increible y te brindan todos los servicios necesarios para que no tengas que moverte del lugar . el servicio de paseos que brindan es muy bueno , solo podria mejorar que los guias hablen español . 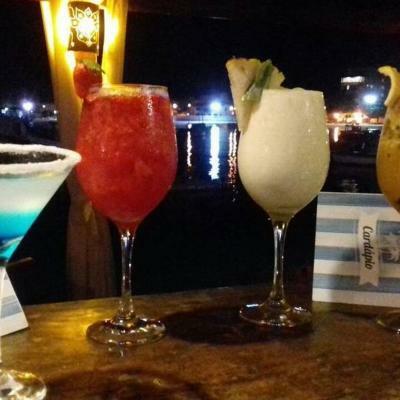 te proveen elementos para snorkeling , kayak o stand up sin cargo en la posada. 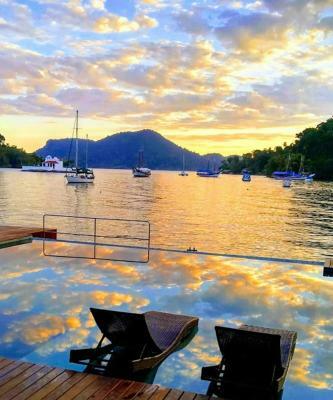 One of our top picks in Angra dos Reis.Surrounded by stunning nature and boasting scenic sea views, Pousada e Mergulho Jamanta is located in Angra dos Reis. 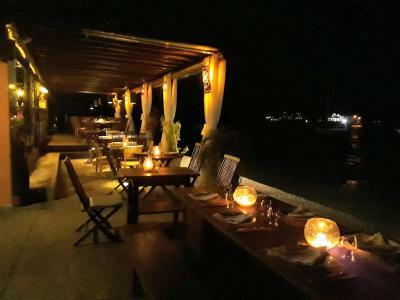 It offers an outdoor pool, as well as a restaurant with regional menu. Guests satying here will have access to a communal sauna, barbecue facilities and a games room. Each room here will provide you with a TV, air conditioning and a balcony. Featuring a shower, private bathroom also comes with free toiletries. Extras include cable channels. 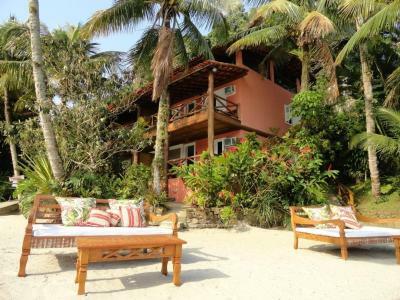 At Pousada Jamanta guests will find a garden and enjoy diving and snorkeling activities. The property offers free parking and free WiFi. 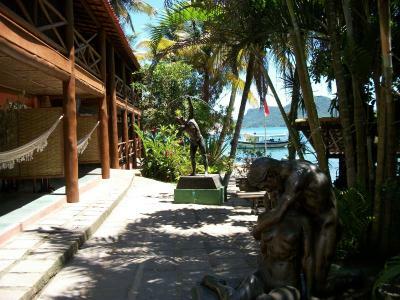 The guest house is 2.6 mi from Mombaça Beach, 6.6 mi from Bracuy and 8.1 mi from Frade Beach. 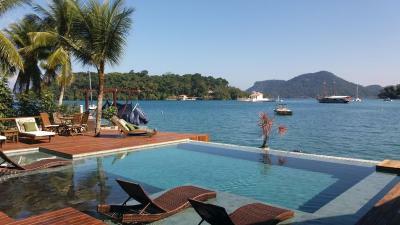 This property also has one of the top-rated locations in Angra dos Reis! Guests are happier about it compared to other properties in the area. This property is also rated for the best value in Angra dos Reis! Guests are getting more for their money when compared to other properties in this city. 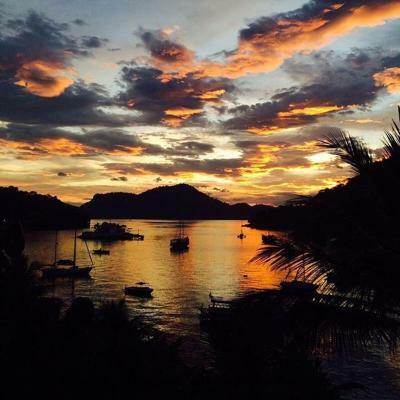 When would you like to stay at Pousada e Mergulho Jamanta? Boasting a balcony with sea views, this family room has air conditioning and a private bathroom. 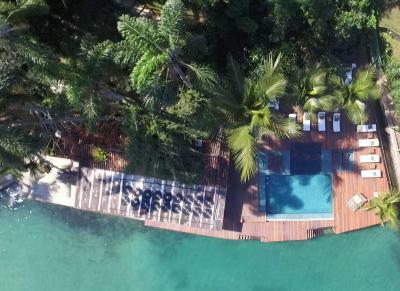 Strategically located between the crystal clear sea and the green of the Atlantic,near the main islands and dive sights from across the bay. 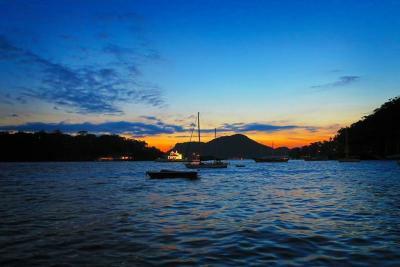 An unique atmosphere, perfect for guests to relax and have fun close to the nature. 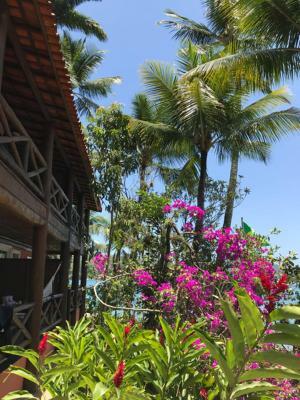 House Rules Pousada e Mergulho Jamanta takes special requests – add in the next step! 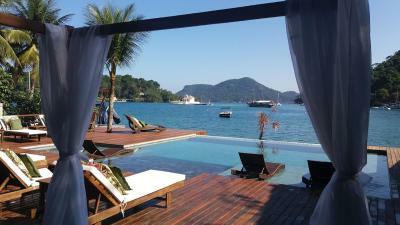 Pousada e Mergulho Jamanta accepts these cards and reserves the right to temporarily hold an amount prior to arrival. The rooms were different then expected. The room was also very humid and the fan and the air condition very loud to sleep. You had no choice then turn the AC on because of the humidity within the room. There was also a strong smell in the room, maybe because of the humidity. The toilet was broken and the doors to the balcony of our room were almost not closing. Some balcony doors didnt close at all and our friends entrance door didnt close at all either, but they got another room immediately. I was a little dissapointed because I was reading so many „best breakfast“ on booking. There was no water at breakfast and also no kind eggs (fried egg, omelette etc.) which is unusual. We would have appreciated that, especially because someone couldnt eat gluten. 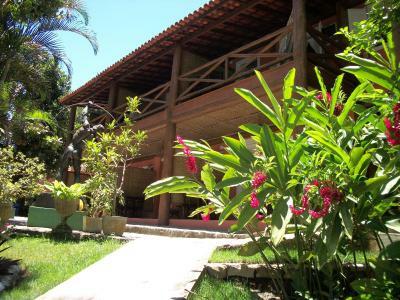 The pousada was different then expected based in the rating on booking but it was still O.K. In case there is rain, there are limited spots yoo can be dry and for example play something because everything is built outside (which is nice), but we had rain and there were not many possibilities. Free kayaks and stand up paddles. Location is perfect and staff is most helpful. The doors to the balcony were not locked and it was hard to find a key.